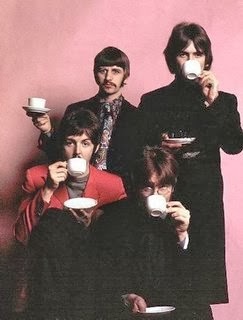 By December 15th the Beatles (especially Lennon) were toying with the development of 'Strawberry Fields' as well as discussing the direction and shape that the song would eventually take. What started as a Lennon demo performed as a gentle folk number on acoustic guitar, at this point was now receiving string and cello overdubs as well as Harrison guitar lines. The last week of November 1966 and into the first week of December were spent developing a suitable backing track, which I will call Version 1. By the time December 15th rolled around Lennon had decided to remake the recording started on November 24th, increasing the intensity and psychedelic madness lacking from the Version 1, into a more intense Version 2. December 8th was the evening that Lennon decided to begin a new series of takes eventually supplemented by outside musicians to more clearly let his vision for the song to come into focus. 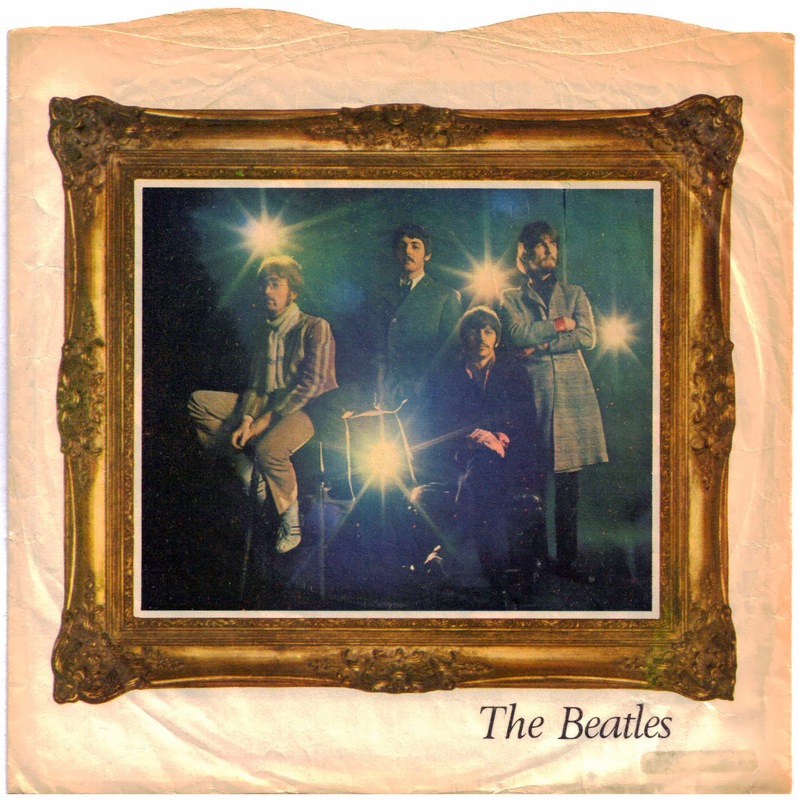 The takes of Version 1 are fantastic in their own right with stringy Harrison guitar lines, and the cozy warmth of the trademark Mellotron, but Lennon felt something was missing from these early attempts. The December 8th session saw a new direction and after the vocal string and horn overdubs were applied to this version 2 on the 15th, a few more days of work and contemplation would cause Lennon to eventually ask Beatles producer George Martin to jam the two different versions together into one coherent piece! 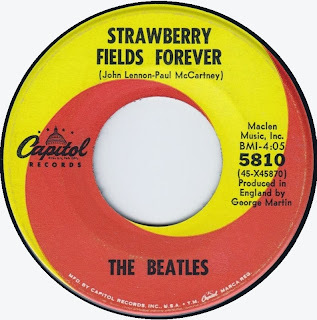 In spite of their different keys and mismatched tempos, Lennon, Martin, and Beatles studio wizard Geoff Emerick took the original working version of 'Strawberry Fields' developed in late November, and puzzle pieced it in with the December 8th remake complete with overdubs from the 15th! Basically, the released version is these two different takes and ideas welded together. The eventual final version does contain an edit that is discernible to the concentrated listener, but I'm not gonna say where, why ruin a good thing!? One of the more interesting notes about the December 15th overdub session of the 'remake' of 'Strawberry Fields Forever' is that Lennon did two vocal overdubs at the session in addition to the brass and string sounds. One of these overdubs featured the far out moan of 'Cranberry Sauce' discernible over the tripped out conclusion of the released version. Forever misheard by fans and freaks as 'I Buried Paul', Lennon's 'Cranberry Sauce' can be heard clearly on the session tapes that exist from these sessions. Explained away as 'typical John Lennon', this goofy vocal reply caused Beatle scholars and 'Paul Is Dead' proponents years of sleepless nights in search of the real meaning and aural proof of the actual statement. This weeks anniversary in the annals of Beatle history is pivotal as it acts as a signpost to the Beatles progressive and more colorful direction. It signaled a change in their attitudes, a willingness to and love of experimentation, and the ability to let their artistic ideas lead the way to a new musical space. The Beatles decision to stop touring in 1966 also factored into this new found artistic freedom. No longer 'forced' into creating music for public consumption, the Beatles new found time allowed them the ability to stretch out, concentrate on developing new ideas, and to create music for themselves. Lennon's songwriting would never be the same, as 'Strawberry Fields' signaled a maturity and artistic development that would blossom beyond his wildest dreams. The bootleg, It's Not Too Bad, released by Pegboy records in 1997 is the definitive statement on 'Strawberry Fields Forever', tracking its growth and development from Lennon's Almeria, Spain 1966 demos through the aforementioned Abbey Road session tapes. A fascinating and worth while listen. One of the most dissected and well know rock songs in history, 'Strawberry Fields Forever' took its shape from humble acoustic beginnings, to electric Beatle interpretation, eventually becoming a towering psychedelic maelstrom of found sound, 'hidden' messages, tweaked vocal effects, huge additional instrumentation, and lyrics dripping with liquid surrealism and imagery. If its been a while since you have visited 'Strawberry Fields', stop by today, I have included links for your journey below.